Get a restful night's sleep with this luxurious pillow by Canadian Down and Feather Company. Covered in a soft, entirely cotton cover, this pillow is filled with comfortable down and feathers. The three chamber design allows the outer pillow to be filled with soft goose down but still offers the support of feathers. The 255 thread count cotton cover stops the fill from escaping while allowing the pillow to breathe. I ordered the medium firm pillow. The pillow is extremely comfortable and provides enough support to the head. It is softer than what I would expect for a medium pillow, so I am glad I did not order that soft pillow. Love this pillow! I got the king firm pillow and am now ordering the med/firm one. It actually is firm...maybe a bit too much. BUT this is a great quality pillow for the price! Wonderfully plump. These are perfectly filled and don't go completely flat when you lay on them, and the down is small and soft. I ordered two medium filled and two firm and for this price you really can't beat the quality. I have been searching for the right pillow for me for several months to no avail. I looked at several feather/down pillow options and chose this company because of the reviews and the price for a king-sized option. I have been using the pillow for about a month now and am extremely pleased with the quality of sleep I am now achieving. The pillow meets my needs for my shoulder and neck. It plumps back to shape with my shaking it out when making the bed and retains the shape. I would make this purchase again and recommend this to anyone looking for a quality pillow. Had a lot of trouble finding a firm pillow that actually is firm. This is definitely a firm pillow. Purchased one for my husband, and he is extremely happy. He said this is the pillow he has been waiting for. I also want a new pillow for myself. I'm not sure if I need firm or medium, as I am a smaller person, and do not want my neck to be strained. I will find a time to try out his firm, and be back to purchase another. I like the firmness of these pillows. The covering is thick and durable. I had forgotten how much I like feather pillows--I will not go back to polyester filling. i was quite pleasantly surprised when this pillow arrived. Its very high quality. They’re firm but yet soft, and what I would rate as a good medium pillow. I do recommend a good fluff and allowing time to reloft. I feel like these pillows are superior to the pillows I purchased at Macy’s for double the price. Very good for my neck and back. Love it. Super! 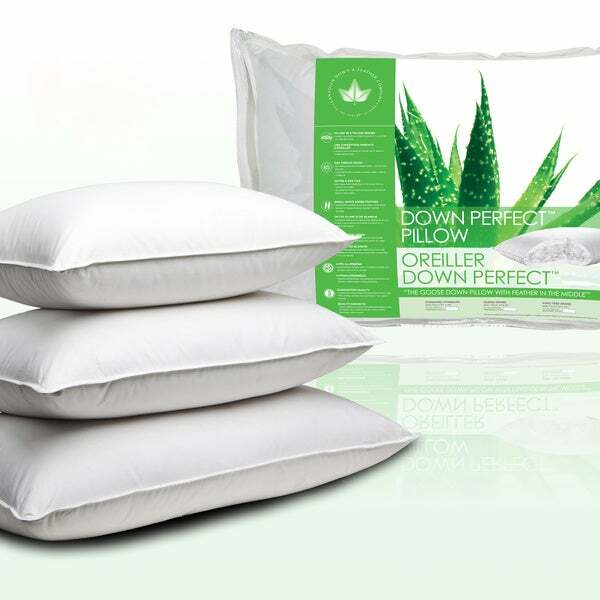 Got that to replace a pancake-thin Elle pillow I got from overstock earlier (https://www.overstock.com/Bedding-Bath/Elle-Eco-Unbleached-Cotton-Jumbo-size-Natural-Feather-Pillow-Set-of-2/12189278/product.html). This one is worth the money. Excellent support, and I don't have to wake up at night to reshape it unlike many other pillows. Very nice quality pillow. Comfortable. Would reorder again if needed. Bought this as a gift for my sister's birthday. She has never had a pillow she liked so I decided to give this one a chance since I have one similar. She is thrilled with this pillow and is now getting a good nights sleep. Also no more stiff neck when she awakens. This has got to be one of the best Down and Feather pillows I've purchased for a reasonable price. Will be buying another one. I bought this for my husband. He loves it! It’s nice and firm for him but still soft enough to be comfortable. Very well made. Takes a while for shipping. But worth it. I would recommend at this price especially. These pillows are amazing!!! I have slept on down pillows this nice at 3 times the cost. You will be happy with these. They are the quality that you would find in a 5 star hotel. these are lovely pillows. The inner and outer pillow design keeps feathers from coming out of the pillow. We ordered the less firm choice, and have been quite happy with them - enough sink to be very comfy, without compressing completely during the night. This pillow easier goes flat, but its comfy. Nice pillow for the price. Pillows are not bad, but do tend to clump a bit after a while. I have other feather pillows that do not clump but still require occasional fluffing. Even after fluffing these still clump too easily. "Would you say the medium is too soft and the firm option is just right? Trying to relieve my stiff neck and shoulders." Medium is just right unless you need substantial support. "Are these made in Canada or China?" I stayed at a hotel in Carlsbad, CA where they used this brand pillow. It was extremely comfortable. I love a feather pillow but they get flat . I have researched and they say a down with feathers inside do not go flat. "need to know percentage of down and feathers in item #18381014"
The inner chamber is all feathers, and the outer chambers are all down. Overall, the feathers make up about 90% of the pillow, while the down fills the other 10%.